When captain Dan MacRae and newcomer Rhys Duch arrived in Calgary on Friday for the start of Roughnecks training camp, they found themselves in a familiar situation – rooming together at the team hotel. 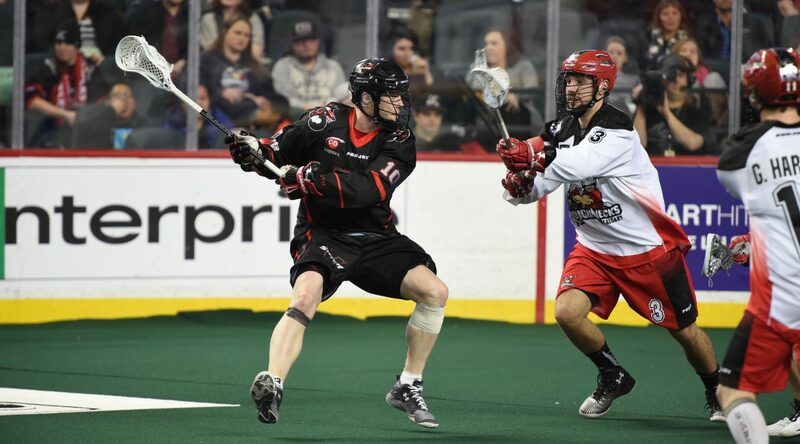 The close quarters are nothing new for the pair as they shared an apartment in Calgary years ago when Duch worked in the city, and MacRae was seeking a roommate ahead of spending an NLL season in Cowtown. So bunking together again definitely drummed up a few memories. The main tale being that of their legendary turkey tacos – a shared kitchen meant the pair quickly created a bond over their culinary creations. They weren’t alone in the kitchen, though. There was another roommate sniffing around: Calvin, a basset hound mix owned by Duch. And with the sometimes hectic travel schedules involved in the NLL, Calvin occasionally became a shared responsibility. Turns out, the subzero Calgary temperatures weren’t the thing for Duch, either. “I think it was 2015, there was real bad winter for Calgary,” MacRae recalled of the year Duch moved out of the apartment. So, MacRae and Duch’s tenancy together lasted less than a year. Their friendship, however, is almost six years running. In MacRae’s view, the addition of Duch makes Calgary’s already potent offence that much deadlier. And we’re sure you’re curious, so we had one more question for the old flat mates – who was the messy one? “He’s a neat freak,” MacRae joked. “It was definitely me, I was the messier one. “I just like to be organized I guess,” Duch laughed.